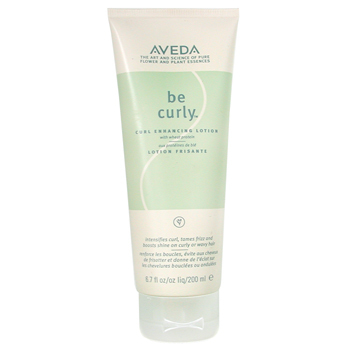 For a long time I had been using Aveda’s be curly curl enhancing lotion for styling my hair. Recently I noticed a change in my hair. It was looking really limp and frizzy, and the curl wasn’t really holding. I don’t blame Aveda, but I do blame my lack of knowledge of my own hair and how to properly apply this lotion. Well, anyways, I figured, why am I spending $20 on my product when it’s not even working? I might as well try one of these drug store brands. 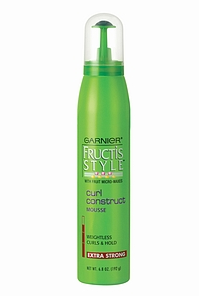 With some research I found some reviews of Garnier Fructis curl construct mousse. What I like about it is that it spreads very evenly through my hair. There is no need to worry about applying too much or too little. It is much easier to apply than the Aveda product. Once in my hair it actually holds my curl through blow-drying without my hair getting really frizzy, and it only cost a little over $3 at Target. The reason it works for my hair is because even though my hair is very thick it still is oily. So, I need something with a strong hold, which is why I like the mousse. If you have thin hair this probably will end up giving your hair that really crunchy look.